First Nations languages are shown with outlines that are approximate representations of their geographic locations. They are not meant to depict authoritative political boundaries nor territorial claims. 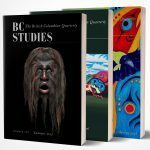 The language names listed here are the ones First peoples prefer to use and are those currently listed in the online First Peoples’ Language Map of B.C. (http://maps.fphlcc.ca/).